InMotion Matariki is a magical illuminated parade that celebrates Matariki: the Māori New Year. 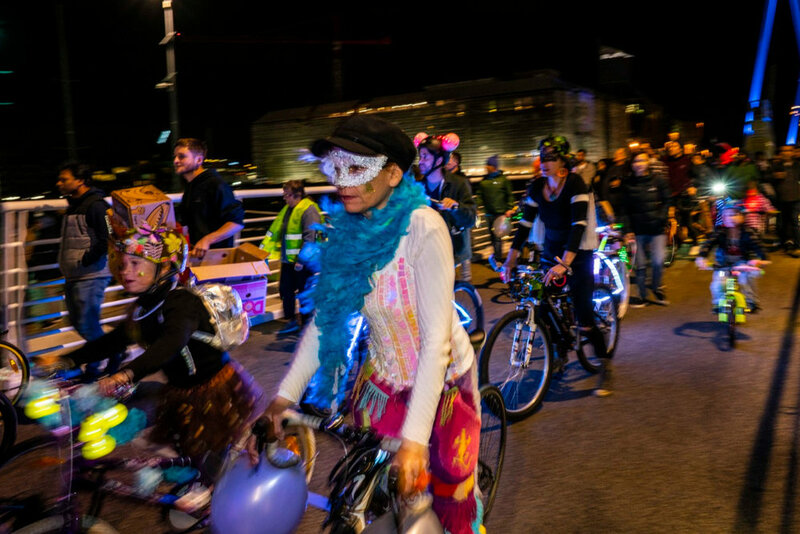 Each winter participants decorate their bicycles and wheelchairs, and enjoy pockets of performance as they roll along Auckland’s waterfront. 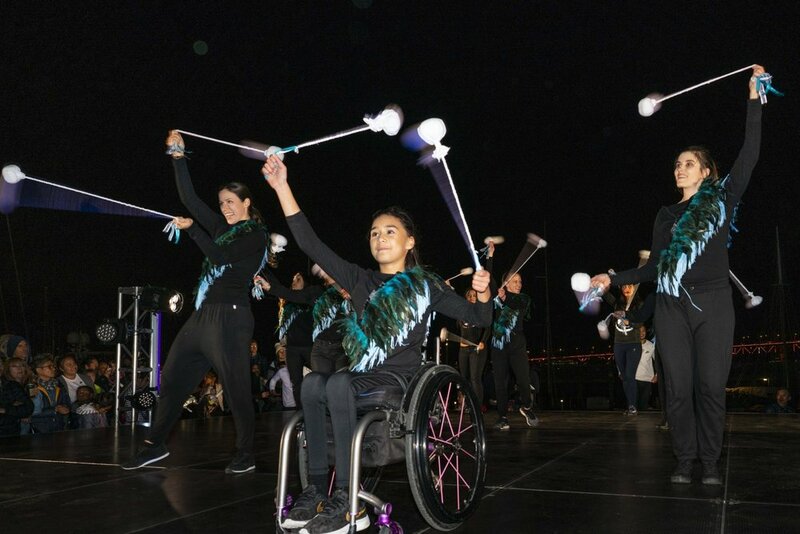 The parade is created and presented by Touch Compass, New Zealand’s leading inclusive professional performing arts organisation combining artists with and without a disability. 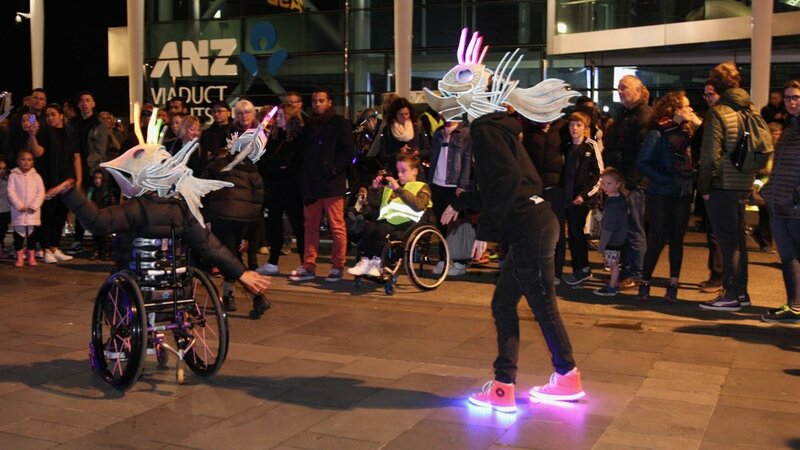 InMotion Matariki appeals to a diverse audience, which includes: children, families, creative types, the cycling community, and the disability community. InMotion Matariki is proudly presented as part of Auckland Council’s annual Matariki Festival and, in 2019, ATEED’s new winter festival Elemental AKL. 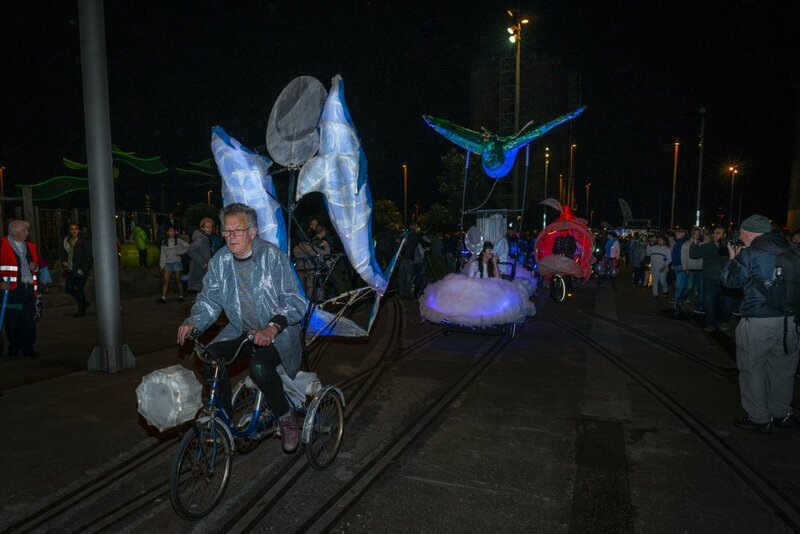 The InMotion Matariki illuminated all-wheels parade is one of few large scale public events available to Aucklanders, and visitors to the region, in the depths of winter. Touch Compass is encouraging of input from New Zealand’s business community too. InMotion Matariki is unique, creating a hub where performance art can be used to showcase innovation and technology, and a platform from which to explore social issues like diversity and disability. The next InMotion Matariki event is scheduled for Saturday 6th July 2019. Prior to joining us on the parade, though, learn all about Matariki with our InMotion Matariki Education Resource. Touch Compass are keen to engage with the business community, and to explore opportunities for collaboration for InMotion Matariki 2019.